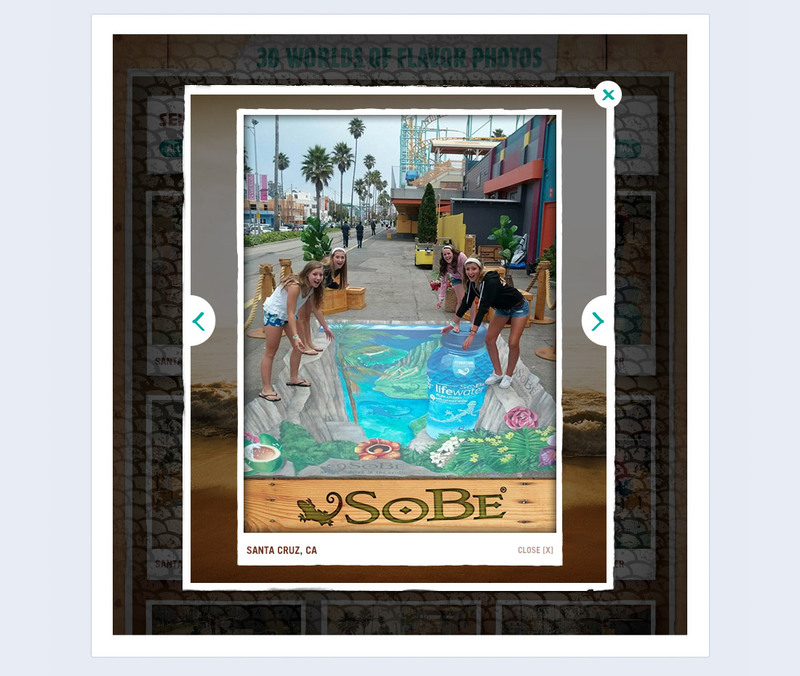 SoBe wrapped up their 3D Worlds of Flavor Tour where the content of installation chalk art creations was captured. They also captured hundreds of photos of fans interacting with these installations in the different markets. There was a need for a hub where the captured content could be viewed. 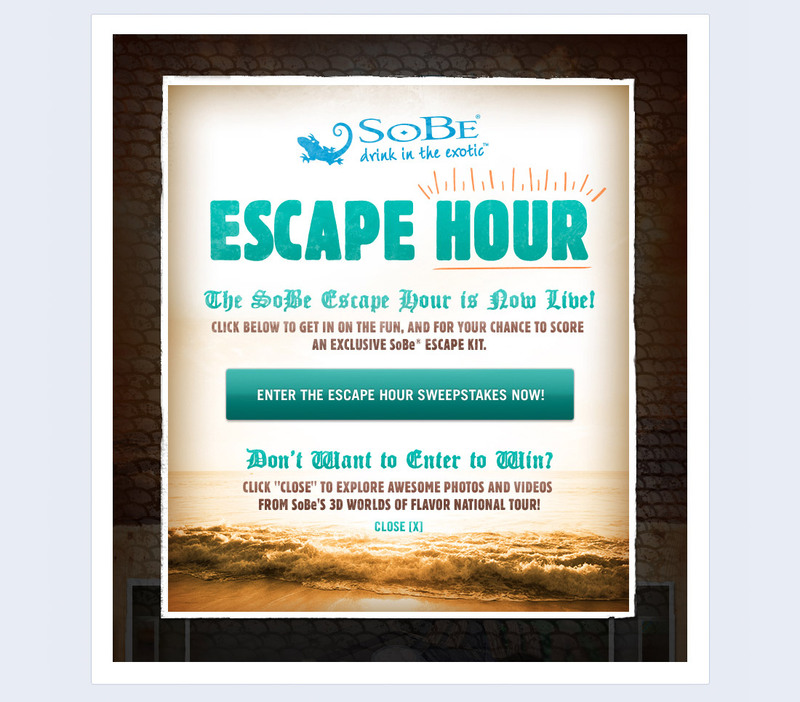 The Escape Hour promotion was created to host the video and photo content on Facebook, as well as get fans excited by giving away an escape hour kit. Creating a beach vibe was important when establishing the look and feel of the application, since the prizes in the giveaway kit had to deal with a beach getaway.